“Curated” is a word you hear often these days. Sometimes it’s the default for any collection that feels thoughtful. Other times, it’s the only word that works. It implies art, not just in the objects available but in the way they’re offered. It implies Winslet & Rhys. 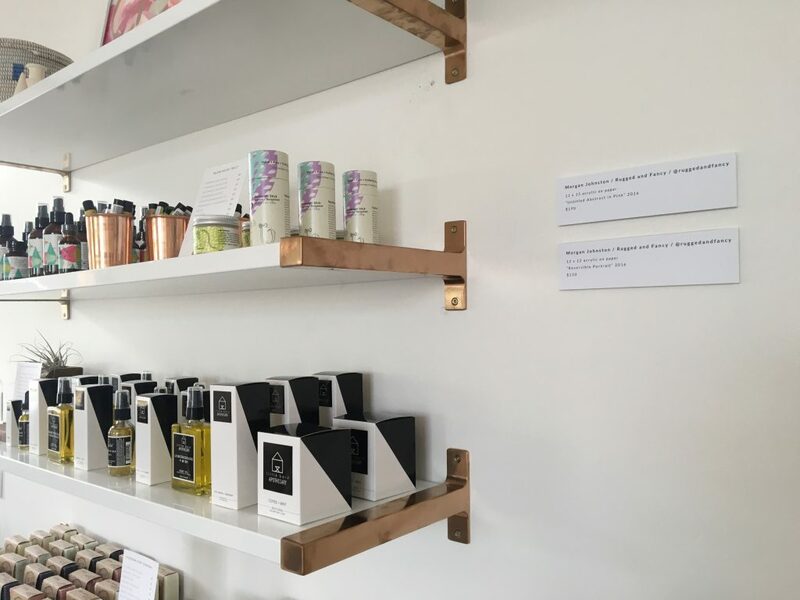 Located at the MAKEbhm complex, Winslet & Rhys is one of Avondale’s few retail spaces. That’s likely to change as Box Row opens, but we like to think it’s set the stage for the neighborhood’s unique shopping perspective. You’ll enter a world of gallery white, accented with natural materials like light wood and leather. It feels somewhere between the MOMA shop and the Vintage Revivals blog, calmed by the soothingly delicate scent of the Winslet & Rhys house candle. It’s a source for your own investment shopping and the most perfect gifts. There are cheeky letterpress cards and gold-printed glassware. Mint green pottery mugs and a wide Baggu selection. Local honey and Senegalese baskets. Cotton baby rompers and cocoon shift dresses. Tags detail not just the price but also the product story. Small white placards describe furniture and art work. It’s like shopping an art museum, the store owners as your very own docents. The results is a unique kind of lifestyle experience. It’s a style that’s aspirational but cozy. Price points that are attainable, even if they’re not exactly cheap. The store, like its neighborhood, is very much drawn to craft. On our visit, the store collection looked roughly 50 percent local and 50 percent outside products, of which many are still American-designed and made. And that feels like a good thing for Avondale’s future. The neighborhood produces beautiful things, sure, but also a broader design conversation. Call it the next move in local pride: crafting not just products but an aesthetic.